Just learned about the CityPASS. Worth checking into if you're visiting a major city and plan to see several sites! What do you think about this road trip plan? The world's most-visited tourist attractions. I've been to 24! One was just last week, and next week I'll add one more, making my grand total 25. How many have you been to? The airlines with the best economy seats. Unfortunately, none of them are US based. 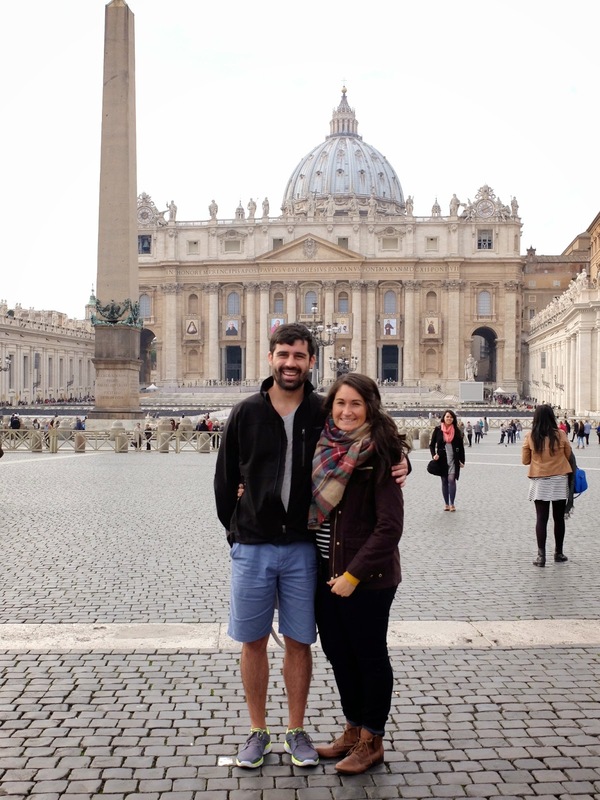 Great tips for less stressful travel. Bad news for Delta frequent flyer miles users. Good advice for renting through VRBO or AirBNB. Reasons you should travel alone on weekends while studying abroad. Can't say I'd agree, but I *do* agree with traveling in smaller groups (2-4 people rather than 10). a little throwback to 2011 - we hosted a murder mystery party. Hawaiian themed! Special shout out to this girl, who turns 29 this week! She just so happens to be one of my best friends, and my birthday twin as well ;) We always had a blast making our birthday a big celebration, and it's always a little sad to celebrate without her! Happy birthday, E! Love you! I hope everyone got a little spring this week, I know some of you still had snow on the ground and that is a BUMMER. Hoping for warmer things this week :) I'm making my way through this bucket list as we get ready for NEW ZEALAND! Any last minute tips for me? Nashville has been crazy town when it comes to weather, and after back to back snow and ice storms AFTER Groundhog Day, these last few days of sunshine and warmth are certainly appreciated! Right on time, Nashville. Life is a little bit better now that the time has changed, and with the first day of Spring on our doorstep, I'm quite the happy girl. Here are 4 Spring Bucket Lists items you can Pin or post to Insta! 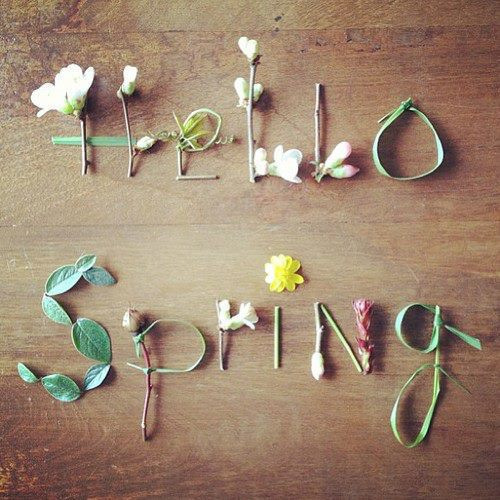 I hope everyone has a WONDERFUL first day of Spring! What's on your bucket list? 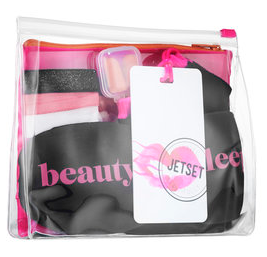 It's an in flight beauty sleep kit from Sephora. SO CUTE! With a 30 hour journey to New Zealand rapidly approaching, I'm thankful for my sleep mask and self-made carry on pouch. But this one will go to one lucky winner! You can buy one here or you can win one by entering below! This contest is open until Friday at 6pm EST. GOOD LUCK! A new island was formed in the South Pacific (near Tonga) by a volcanic eruption. So cool! 10 countries you can see in just one day! That's awesome. I've always DREAMED of this option! Hiring someone to take your photos on vacation... the ultimate travel luxury. A Pantone color themed hotel?! Sign me up!!!! Are you an Amex customer? Read up. Curious if your flight has wi-fi available for purchase? Now you can find out ahead of time. Is the Apple Watch right for travelers? Pet sitting in exchange for a free place to stay... what do you think? The story of Google's CEO: he retired early to travel the world. Love it. Hello again! 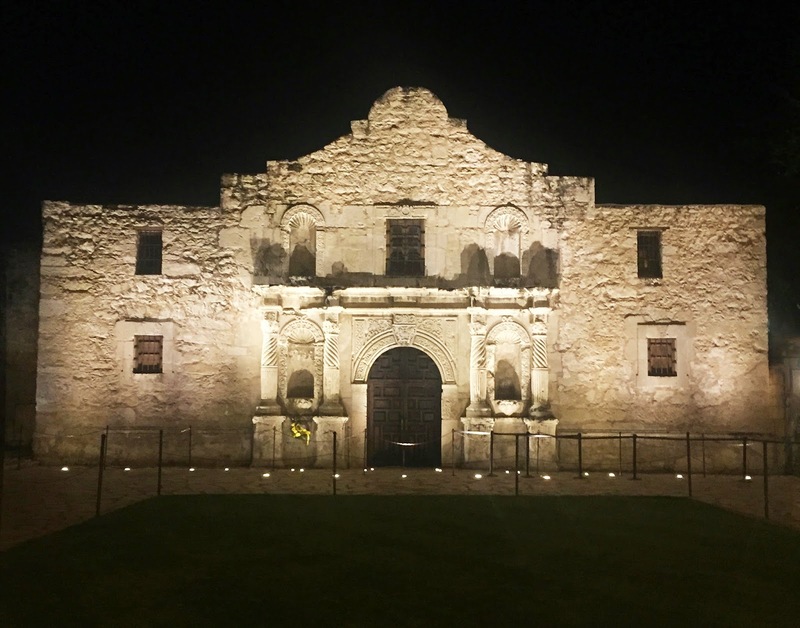 Apologies for the blogging hiatus - was in San Antonio (home of the Alamo!) for most of last week and ended up playing catch up for the rest of the week. Such is, I suppose. San Antonio was so cute! We spent the majority of the time scouting for an upcoming photo shoot, but we were able to dine on the Riverwalk two nights and enjoy a couple of local coffee shops, which I'll share at a later time. I'd highly suggest it for a weekend getaway. The paper chain has been created, and we're officially in the countdown mode to New Zealand! Starting to prepare our gear, think about what we're going to pack, and tie up loose ends. We're in the home stretch and I'm SO EXCITED! In other amazing news, Spring Ahead has changed the game for me, and I feel like the days are 30 hours long. I LOVE IT! I really hope America changes its mind before fall and we never have to fall behind again. 4.30pm sunsets are just about the most depressing thing ever. What are you doing with your extra hour? I hope everyone had a wonderful week, and is loving the switch to Spring! That's what I've heard... but I've actually never been! (Unless you count long layover in the Dallas Airport... which I do not). I'm headed to the San Antonio area for work next week. Only for 3 days, and it will be pretty jam packed with work... not a lot of free time. We'll be staying near the famous San Antonio Riverwalk, which also happens to be near the Alamo, so I'm sure I'll at least drive/walk past these sites. We're opting for hotel, after Airbnb for 2 wasn't as readily available for this trip. We are hoping for an Airbnb to work out for our longer trip (and larger group) in the area, as the "Hill Country" is absolutely gorgeous! In search of: the world's best tex-mex, delicious coffee, farm-to-table vegetables, and of course, any local specialties in the least touristy way possible. Texas, what do you have for me?! Here's a few places I have my eye on (according to research & Yelp reviews). Please alert me if I'm making a tiny huge mistake. Rosealla Coffee - Breakfast also sounds divine. Local Coffee - Iced Coffee on tap! Rosario's - I keep reading about it, so they must be doing tex-mex pretty well. Have a great weekend, and please let me know if you have any suggestions! I'll let you know if everything is as big as they say. Happy Wednesday! Let's win things, shall we? 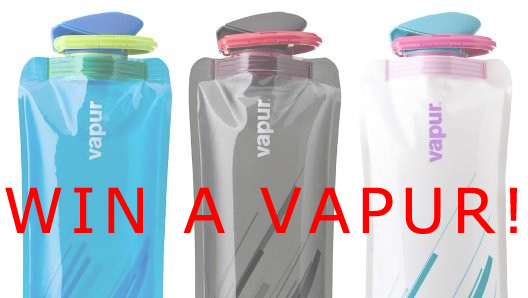 One of my all time favorite things I've discovered is a Vapur water bottle. 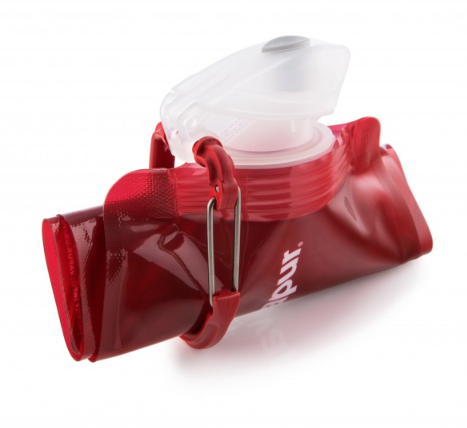 Funny story, I thought I invented it (in my head) - thinking of a water bottle that worked more like a Capri Sun, after being sick of carrying large Nalgene bottles in my purse. The Vapur rolls up so you can carry it with you at all times and fill up when needed! BUT, it opens, closes, and drinks like a normal water bottle. It's always with me when I travel, and kind of with me all the time. I love it. It looks crazy, but who cares - it's the best. Rolls up to the size of a candy bar. You can win one today! 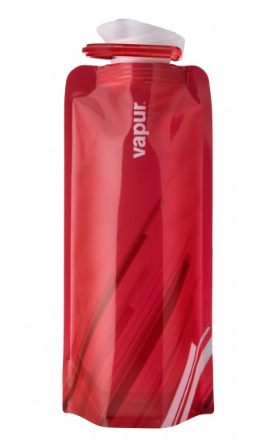 I'm giving away a red Vapur Element bottle 0.7L in size. You can enter up to 8 times with the options below - good luck! I shared my planned packing list list for Italy, but wanted to follow up and show how it panned out in real life. 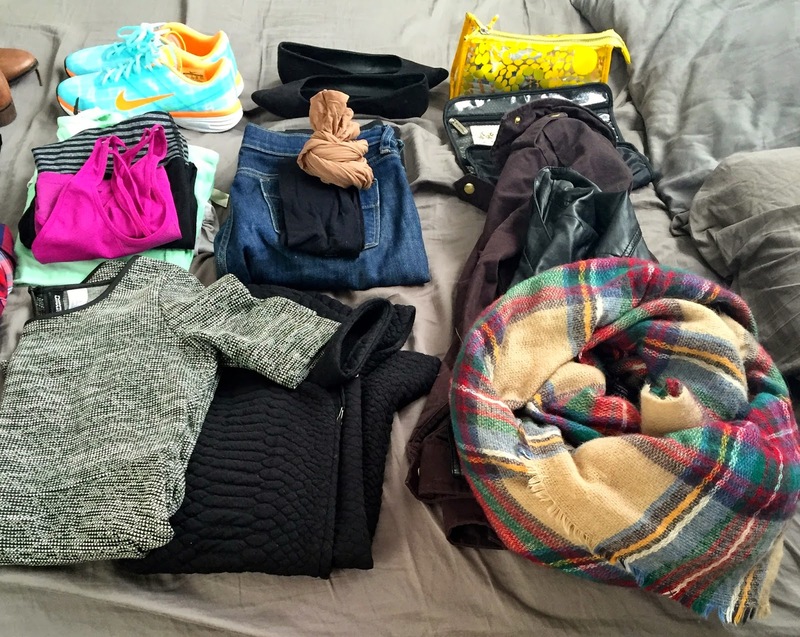 It's easy to say you're going to pack light, but it can be harder to actually do it! Honestly, packing light takes a little more planning on the front end, but makes your trip smoother, lighter, and generally more enjoyable (at least it does for me!) Here's what the contents of my backpack looked like! The gold scarf at the top was swapped for a lighter weight black & white scarf. - I brought 2 dresses but only ended up wearing 1. For fall/winter, I should have stuck to 1 dress as most days were a bit chilly (even with tights). Plus, I'd never worn the grey dress before. If you don't wear it in real life, you won't wear it on the road. Broke one of my own rules! - I foolishly brought suede flats for my 2nd pair of shoes. With the rainy forecast, I don't know what I was thinking! These were in my backpack the entire time. - 2 jackets. I wore both of them, but definitely could have streamlined down to 1 and chosen another medium weight top for layering options. - My ankle boots. They were great for long days of walking, water resistant, and matched everything! - Layers. I got creative with my layering, putting my plaid shirt under my black dress OR the striped sweater, wore it over the black top, or by itself. Same with the mustard cardigan! Versatile as they come, and added color to otherwise plain outfits. - My black shirt from Vinnie Louise. It's heavy enough to be warm but billowy and breathable. With a belt it has great shape or can be layered under a sweater! I think I wore it on every train ride because it was so comfortable. - 2 different scarves. 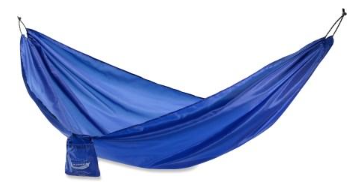 These scarves were different colors, materials & weights. They instantly changed an outfit's look, PLUS it was nice to have different weights for weather changes. - Low profile trainers. I found these on sale a few weeks before we left (for $30 at DSW) and I'm so glad I bought them. We hiked in Cinque Terre (so running shoes were necessary), but didn't use them again - these were half the weight and size of my Brooks running shoes, and saved me a ton of space. Thinking about New Zealand next month, I'm trying to be smart with my packing! Here's what I know so far about our trip. - The weather will be Spring-ish. Warm days, cool nights (maxi dresses, lightweight layers, thin scarf). We'll also be sea kayaking, wine tasting, exploring cities, glaciers, and all sorts of crazy stuff. It's looking like my bag will be filled with a lot of athletic wear! Similarly to Italy, we will be bouncing around quite a bit - so i'll need easy mix & match items that pack well without wrinkling. Challenge excepted. If anyone has been to New Zealand and has any tips on visiting in the late Summer/Early Fall, please let me know! I'm all ears! The most BEAUTIFUL places that are full of color! Just gorgeous. Restrictions on selfie sticks are ok with me. Not sure if this deal is worth it.... $160 for unlimited Air Asia flights. Do you need car rental insurance? This is a great guide to deciding the answer. Visit these places NOW while the dollar is strong! Love this food tour of Seattle. How could I not when they listed a few of my favorite restaurants in the PNW?! The Bahamas and warmer times. Is anyone else getting Spring Fever? This week can be summed up with "dreaming of warmer weather". I'm headed to the San Antonio area for work next week - I'm praying for warmth! My pasty skin needs a little Vitamin D (even if I might only get it walking in and out of the hotel). In positive news, Daylight Savings is NEAR! The countdown is on for less than a week, and I think we're all ready for the longer evenings. At least I am! I don't know why we EVER fall behind... it's depressing.